We partner with custom home builders, remodelers, designers, and contractors on awesome projects! Building a new porch for a client? The Sunspace process couldn't be easier. Here are five basic steps for creating the porch of their dreams with Sunspace Porch Windows. If you have blueprints or drawings of the new porch design, send them our way to get the conversation rolling on options and pricing packages. Following our initial conversation, we can set up a time for you and / or your client to come down to the showroom, see product displays, and to ask any further questions. At this point, we can finalize product selections, colors, and other options before securing time on our production schedule. Prior to installation, one of our representatives would visit your client's home to verify measurements and installation specifics. At this point, we can order your custom made products and schedule an installation date for 4-5 weeks from the order date. The final step is installation, which is typically completed in one day. Sunspace Porch Windows are available in seven frame colors and four vinyl tint options to match your style. Sunspace Porch Windows have a 1” flange around the perimeter so you need to have a flat surface on the exterior that is 1” thick or greater. Double check on the top and bottom of the framing to make sure there is something to catch the flanges and is flush with the vertical posts. If you are placing windows next to each other, there needs to be at least 2” of framing in between them. 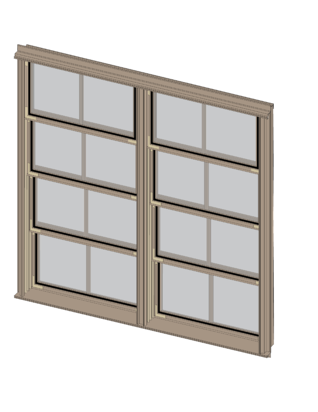 We do offer mulled units of double and triple wide windows up to 12’ wide that do not require framing inside that opening. Windows can be installed between posts with no interior or exterior trim. We measure these as tightly as possible to minimize gaps. Typical deduction is 1/4” off the rough opening resulting in a 1/8” gap around all 4 sides that can be sealed with the caulking that comes with the windows. In this case, we would install the windows with our color matched screws for a finished exterior look. 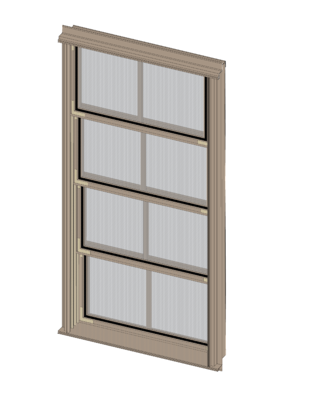 Windows have a 2” jamb depth and 1” of frame visible inside. Option 1: Windows can be installed onto rough framing or sheathing and then have interior trim applied after window install. Exterior trim can be placed over top of the window flanges. In this case we will install windows with flat head screws. Option 2: Windows can be installed on top of exterior trim boards and then have interior trim used. 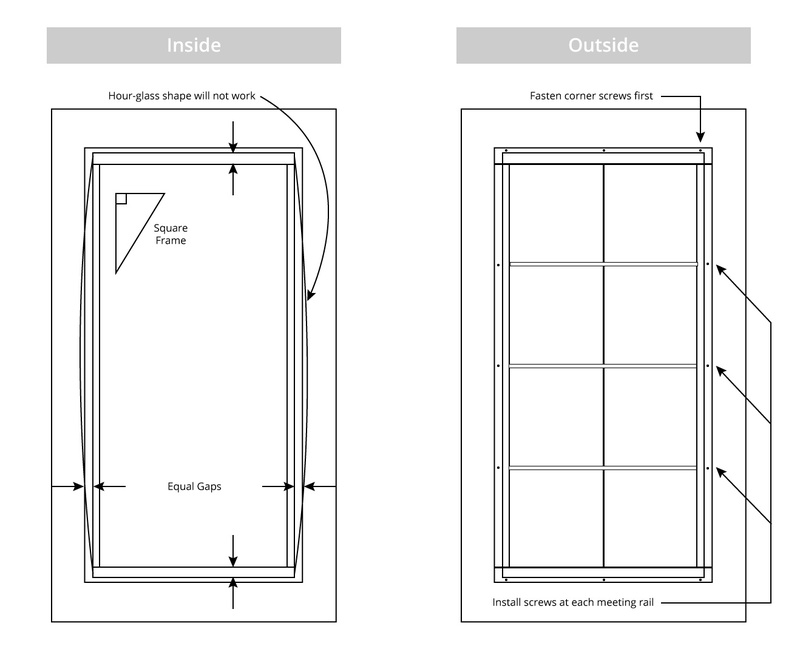 Option 3: Windows in-set into openings for an exterior railing to be used. Sunspace porch windows have a 1” flange and are designed to be fastened through this flange into framing structure. Silicone caulking and color matched screws are provided. Remove packaging, pre-drill holes in line with window sashes, apply silicone to back of window flanges. Center and square up window frame in opening. Fasten a screw into each corner. Use shims if needed to maintain the same width in the middle of the window as in the top and bottom. An “hourglass” shape will result in window panels that are too loose. Fasten the sides with screws at each meeting rail (see Outside view diagram below). Fasten the header and sill with one screw in the middle. If needed, tighten the screen by removing the spline on one vertical side, pull the screen tight, and insert the spline. Trim off excess screen being careful not to slice inside of the splines. 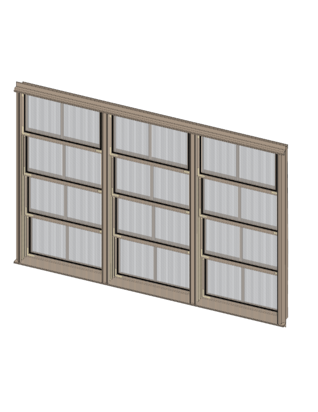 Operate the window panels and adjust frames if needed. If window panels are too loose and do not stay in place, additional tension can be gained by shimming frames closer together. Sunspace Twin Cities proudly serves the families and homes of Minnesota and Western Wisconsin. "I highly recommend Sunspace to all homeowners that are looking to add windows to an existing porch or looking to build a new one from the ground up. I'd also recommend Sunspace to other builders that are looking for a hassle-free solution for porch windows." "Sunspace Twin Cities has a great product with lots of options! They were fast to reply to emails/calls and answer all my questions. I highly recommend their windows for any 3-season space." "Brandon did a great job helping me select windows for a screen porch at our lake cabin. He was very good at explaining how the windows were constructed and how to install them. He allowed me to see windows installed at a place of business before my purchase. He was always ready to answer questions before and after I bought windows"
Sunspace Twin Cities offers great design ideas and excellent service from start to finish. Your authorized dealer for Sunspace products in Minnesota and Western Wisconsin.